- 2 x 12.5g/ 0.35fl.oz. 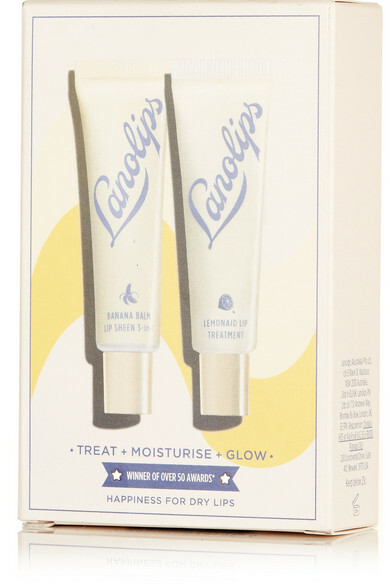 Lano - Lips Hands Allover's duo is a must-have for those who suffer from extremely dry lips. This 'Treat + Moisturize + Glow' set includes the brand's award-winning 'Lemonaid Lip Treatment' and glossy 'Banana Balm Lip Sheen 3-in-1'. They're both formulated with pure Lanolin that mimics your skin's natural oils, protecting and hydrating your pout.